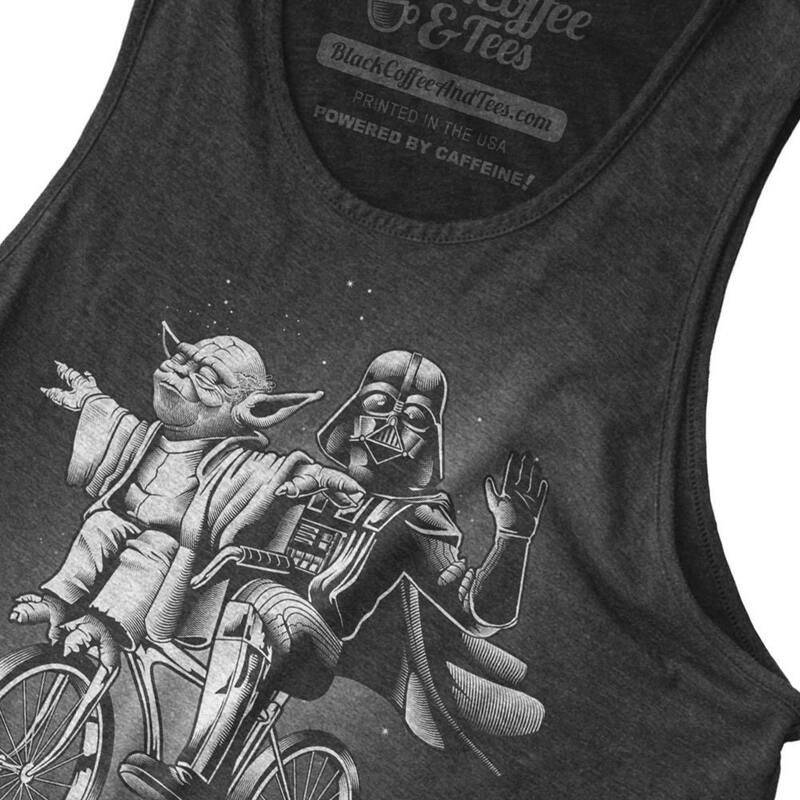 Yoda and Darth Vader riding a bike together! 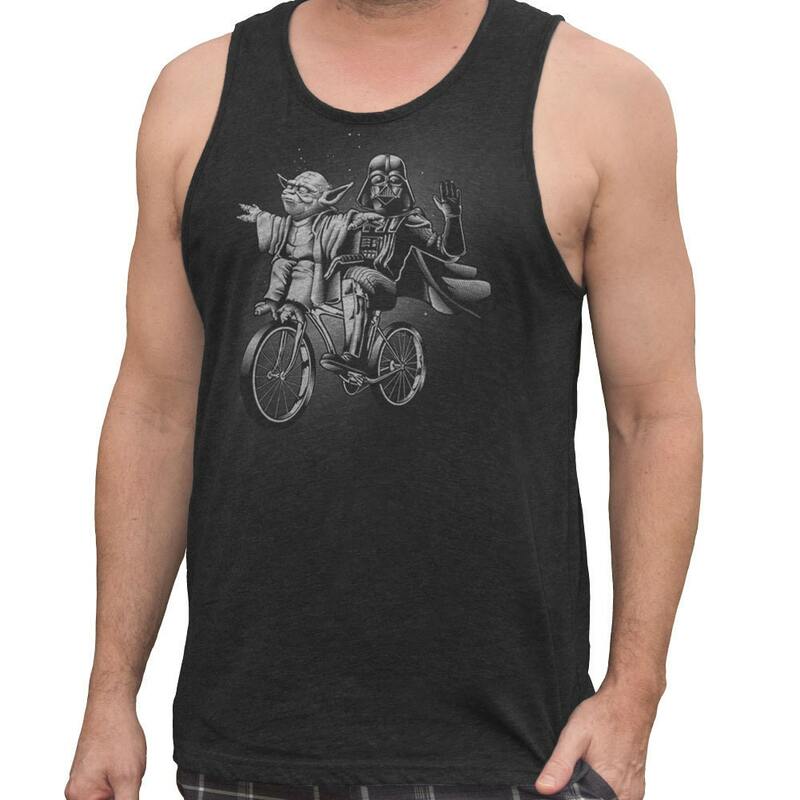 You found your new favorite Gym Tank! Congrats! 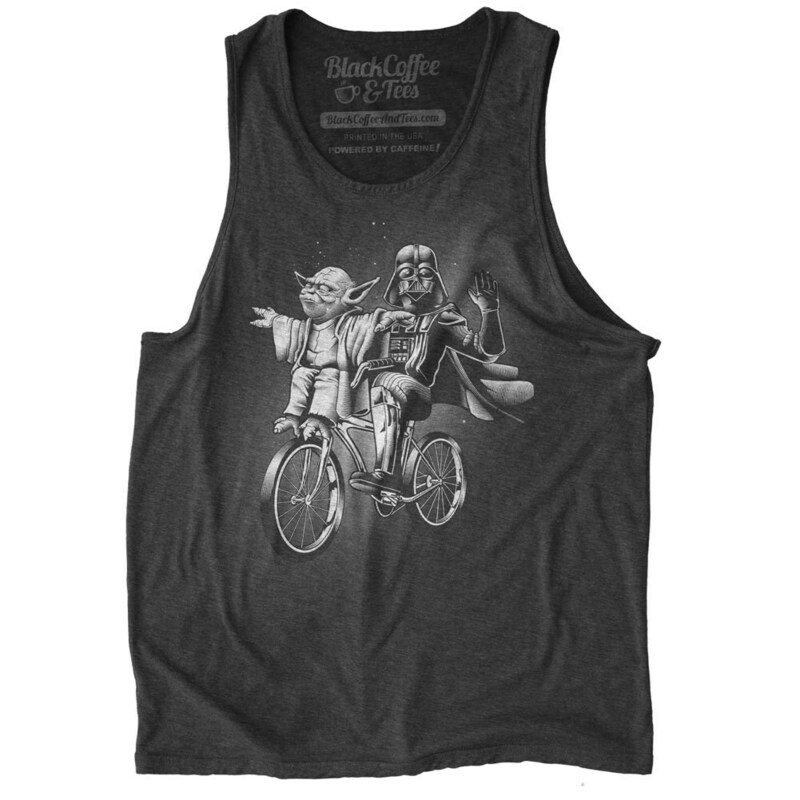 Star Wars Yoda and Vader chillin together riding a bike. 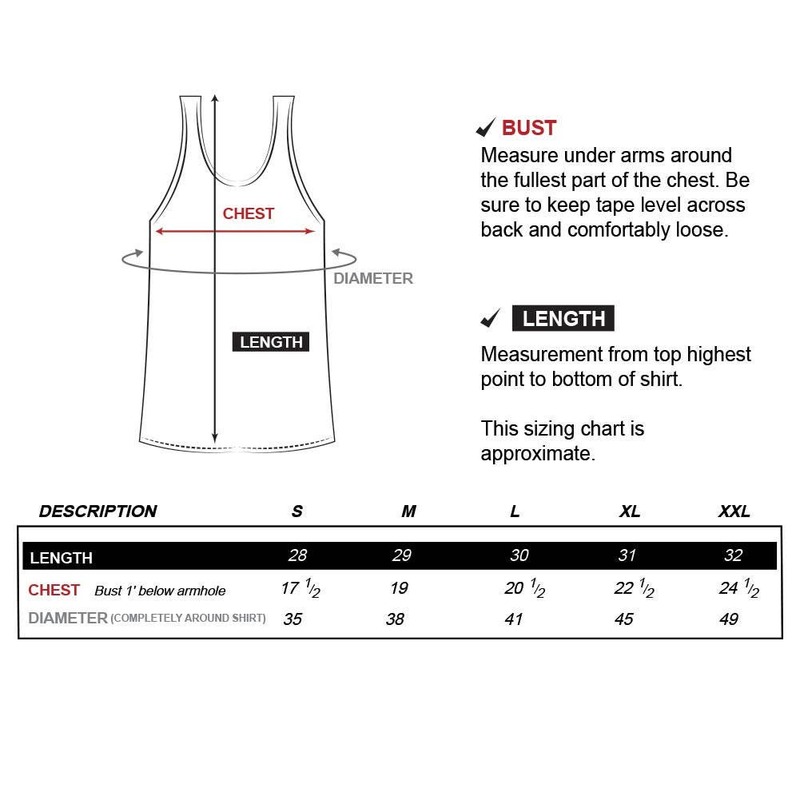 Hand Screen Printed on Top quality Gym Shirt. Great company to work with. Really nice material tank. Handled a size exchange quickly and easily. Will order from again. This was exactly as I had hoped! My son the Star Wars junkie is going to absolutely love this!! Thank you! My husband loves his new tank! Thanks!